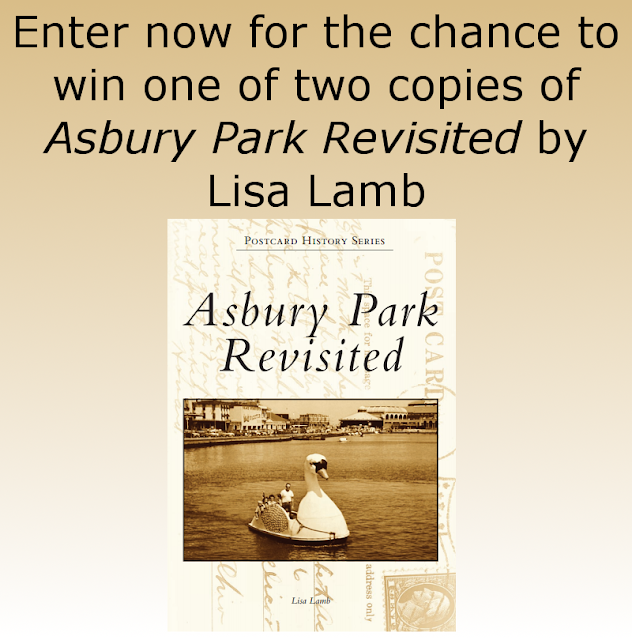 "Asbury Park Revisited" February Book Giveaway ~ The History Girl! Thanks to author Lisa Lamb, The History Girl is offering two copies of her book Asbury Park Revisited. In order to be in the running, submit your name and e-mail address below! When New York brush manufacturer James Bradley founded Asbury Park in the late 1800s, he could hardly have imagined the course his seaside resort would take. Named for Methodist Episcopal bishop Francis Asbury, it was originally a Christian resort awash in Victorian architecture. Throughout the first half of the 20th century, Asbury Park's beach, boardwalk, restaurants, theaters, hotels, and amusements attracted thousands of vacationers every year. Later, the town gained a reputation as a gritty music mecca, known for the clubs where Bruce Springsteen got his start. All along, Asbury Park has had a unique ability to draw people to it, evidenced by the thousands of postcards sent home from the town each year. *One entry per person. *Valid for all residents of the 50 United States of America, 13 years of age or older. *Entries without a valid e-mail address are not eligible. *Contest begins February 21, 2016 at 6:00 pm EST and ends February 27, 2016 at 8:00 pm EST. *The winner will be chosen at random. *The winner will be notified via e-mail on February 27, 2016 after 8:00 pm. The winner must respond with a mailing address within thirty-six (36) hours or another winner will be chosen. Asbusry Park should be taught in history class! !